So to my regular readers, I’m sorry it’s been almost a week since my last posting. That’s because I’ve been busy. Really busy. On Sunday, the culmination of 2 years of thoughts/ideas and 7 months of planning came to fruition in the form of Greyt Fashions, a fundraiser for greyhound adoption to support Greyhounds as Pets. This is the charity that matched Izzy and me back in 2014. I aim to support dog adoption each year through fundraising, but this year has certainly topped all my previous efforts with $4994 raised in a single event. The idea behind the show was simple: highlight that greyhounds need clothes and let our volunteer owners show off their hounds in the clothing they had chosen for them. Alongside the show, we had a silent auction and prize raffle of donated goods and services. I was humbled by the number of sponsors which came on board at the first request. It was an awesome day, and one that passed quite quickly for me. Thankfully, the folks at Parker Photography also donated their services and were able to document the day for us. More photos are expected on my Facebook page later this week as the photographers process and edit their photos. I haven’t been posting as frequently as I would like. Forgive me. Over the last two months, I have been pulling together the prizes and other arrangements for my third annual fundraising event. While I always walk away feeling good that I’ve invested my time in giving back to the community, these events take time and effort. I haven’t had much time to do my usual research and writing – but we are in countdown mode with less than 2 days to go. And then it will be over for another year. Tonight, I am wrapping prizes. This photo shows my progress – but thankfully there is still a long way to go thanks to many generous donors/sponsors. Back soon with doggy news. They say that entrepreneurs start businesses because they want to do something that they enjoy. I believe that. I also believe that those of us who have started a business want it to reflect our personal values. I remember that, when I was employed in my ‘first career’ as a manager, we were reminded about studies involving employee engagement. These studies show that employees leave an organisation when they don’t feel that it matches their value system. If the business reflects your values – you’ll be a happy employee. So, I decided that when my practice was large enough, I wanted to give back to the local community by supporting dog adoptions and welfare. Agencies involved in animal welfare always need money to operate and are financially stressed on a regular basis. I decided to use my fundraising skills through organising and sponsoring an annual fundraiser. This is my third year organising an event and the beneficiary is Second Chance Dog Rescue. This fundraiser has a Second Chance theme – also reflecting my interests in the environment and sustainability. It’s a swap party – and everyone who attends is being asked to bring a good, used item to swap with others. We’ll also accept donations of good, used toys and other items for the rescue. This means that the environment wins as much as the dogs. And I think it will be an entertaining Sunday afternoon – 21 May 2017. I’ll let you know how it goes after the event. 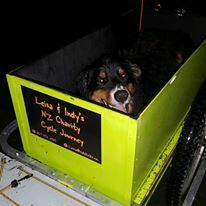 Leisa McNaughton and her dog Indy, a Border Collie/Bernese Mountain Dog cross, will commence a 4-month journey on 1st October 2015 to travel the length of New Zealand. Their journey will begin in Cape Reinga and travel using tracks that are part of Nga Haerenga The New Zealand Cycle Trail and connector routes. Leisa says she and Indy “chose each other” at the SPCA about six years ago. She attributes her recovery from severe depression and burnout to, in part, Indy’s non-judgmental support and companionship. Indy will ride in a specially designed trailer during the pair’s journey together. You can follow Leisa and Indy on their Facebook page. 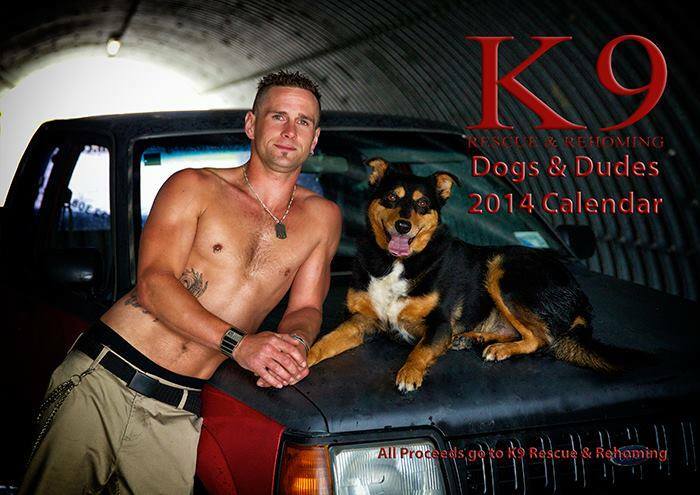 Christchurch based animal welfare charity K9 Rescue and Rehoming has paired well-muscled men with dogs available for adoption in their 2014 calendar. Entitled Dogs and Dudes, this fundraising calendar includes photographs of New Zealand actors and other local celebrities who were willing to bare their bodies to support dog adoption. And dog owners get to enjoy a little beefcake all year long, combined with some really beautiful dog photos, too! 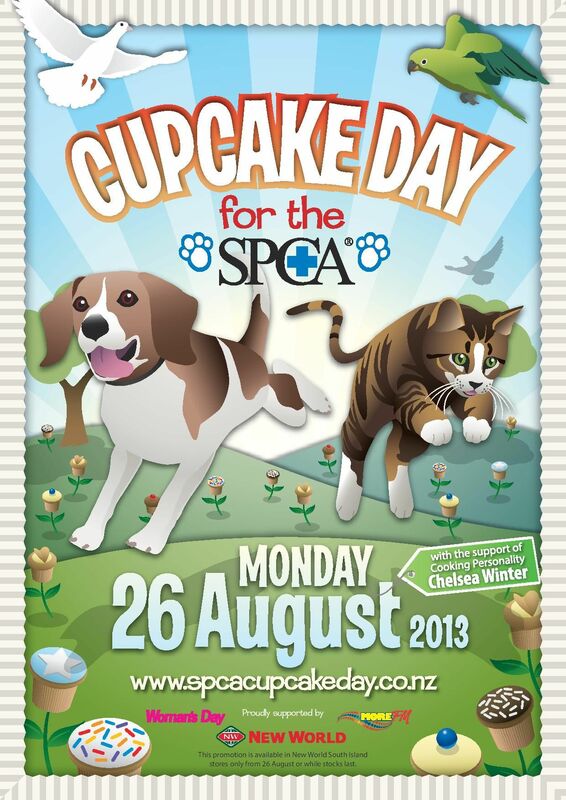 So this year, I’m supporting SPCA Cupcake Day. Instead of selling human cupcakes, I’m selling doggy cupcakes. These cakes are tummy friendly with fresh ingredients like banana and apple. 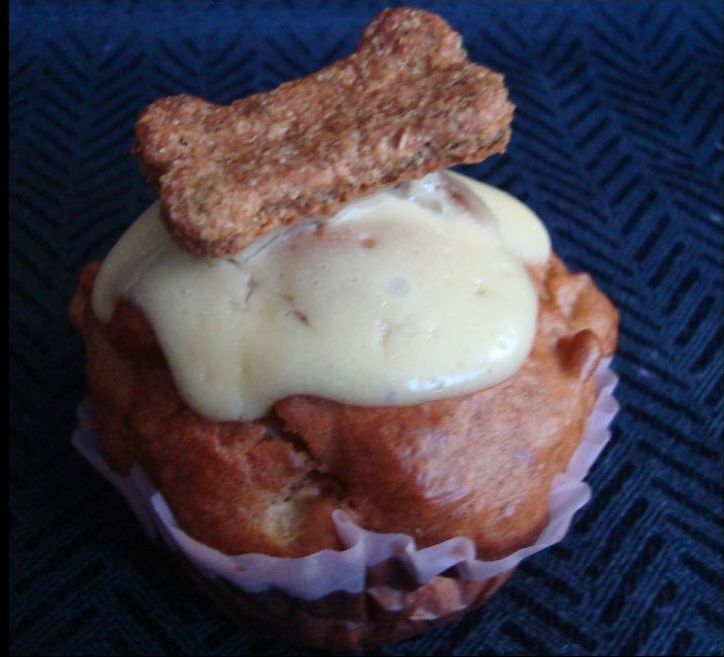 The frosting is low fat cream cheese and the treat on top is one of my Chicken & Parsley Doggy Bites. I’m having lots of fun taking orders and baking these, plus I feel like I’m supporting a cause I believe in and giving back to my community. Needham, Massachusetts doesn’t have a dedicated facility where dogs can run and exercise off-leash. For a town that is home to approximately 3,000 registered dogs, it’s a real shame. Thankfully, a group of dedicated owners led by Mike Verdun and Bill Paulson are hoping to change that. 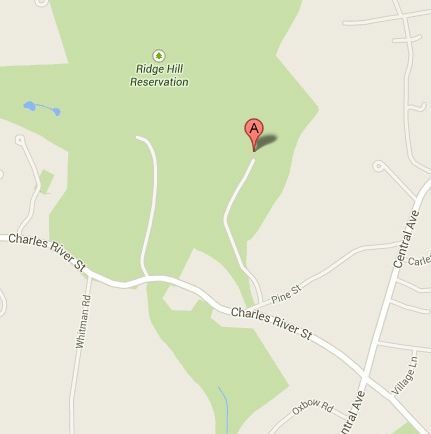 They and a group of about 10 other passionate dog owners have located a suitable site, the Nike Site, next to Ridge Hill Reservation. The group is now fundraising to establish the park. $25,000 is needed to establish the facility; the bulk of the money is needed for the fencing, combined with signage and a wood chip base. Double gates will ensure that dogs are kept safe as they enter and exit the park. So far, the group has raised $3,500 – so there’s still a long way to go. 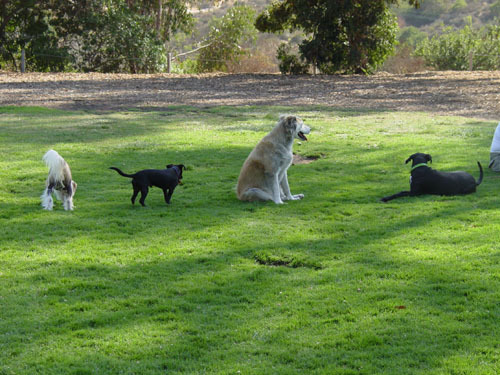 If you and your dog benefit from off-leash exercise in your community, maybe you can consider making a small donation to help the dogs of Needham be rewarded with their own dog park. The Needham Dog Park donation form has all of the instructions you need. And you can follow progress via the Needham Dog Lovers Facebook page.